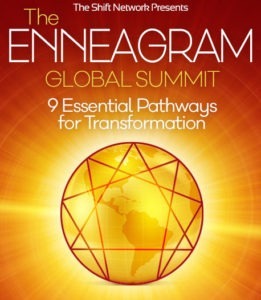 At the Shift Network's 2018 Enneagram Global Summit, James Flaherty joined host Jessica Dibb to for a profound discussion about the many ways that Buddhism and the Enneagram overlap. They explore how integrating the Enneagram into a Buddhist practice allows us to come to it with greater openness and understanding. By giving us insight into the specific obstacles to our own awakening, the Enneagram can help reveal the trailhead to the particular work we are here to do, both on and off the cushion. It was one of these weeks where things were quickly going downhill. Or so it seemed. My partner was away for work. My dog got diarrhea. My daughter got the flu. My network of support was on vacation… and so on. I could see that I was looking outside myself, trying to identify the perpetrator of such a lousy plan. Looking in all directions but me. When I decided to look at the projector—me—I realized that if there was a perpetrator in the story I was telling myself, then I was the victim. Pulling this slippery thread, I got deeper into the story. It went something like, “hard work is kind of unfair, and at some point this has to end, as I deserve something better.” The more I got in touch with this narrative, the question I then asked myself was, “where the hell did I get this…crap? !” I started looking in the usual places: culture, society, family… I immediately could spot similar patterns in my family of origin, not to mention mainstream culture. Indeed, it was Cinderella’s tale—so not surprising that it was so familiar! I have consciously been inspired by the idea of dying having fully contributed to my community. But unconscious stories can have a stronger effect than our best intentions … until they become conscious. And yet, having discovered my story did not allow me to get rid of it completely. I’m still working on it. Stories, as forms of mental patterns or personal complexes, are attached to our bodies, bones and skins: sticky coats with a particular shape. Gaining awareness of our stories can change how we relate to them, allowing us to disidentify from them. But how can we integrate and transcend them? There are two ways we use in Integral Coaching to achieve this. The first one by inviting a new narrative. In my case, the Cinderella story was replaced by the story of a Dakini, an empowering Buddhist feminine archetype. The second way to transcend and integrate our stories is by bringing awareness to our bodies. Our bodies become the repositories of our unconscious, and by finding and letting go of tensions that hold these patterns, we loosen the power of them and create space for something new. For this, Hatha yoga has been the path that has opened me the most, as well as embodied meditation from the Shambhala tradition. What narrative have I lived by today? How could I tell? How did it feel? What did this narrative create? What different different story could I live by? What could this make possible? Magda is an Integral Coach based in Spain. You can read more on her blog. Justin Wise is a New Ventures West senior faculty member based in London. You can read more of his beautiful writing on his blog. I was taking advantage of the long summer days to catch up on some much-needed gardening when I found the book. The Cichlid Aquarium had been in our garage since my husband and I had moved in 13 years ago, weathering all the extremes Michigan could conjure, including two of the worst Midwestern winters on record. Yet, other than a film of dust, the book was unscathed: not a spot of mold, its color pages bright and glossy in the slanting evening sunshine. I’ve never seen cichlids while scuba diving, but the widely varied colors and the beauty of the photography gave me a strong sense of how stunning they are. I wiped the dust carefully from the cover, edges of the pages, and binding, and finally turned the book over to wipe off the back. There was a photo of the author, Dr. Paul V. Loiselle, and a brief bio of his life and work. Suddenly I felt a cold-hot-trembling melting throughout my core and down to my feet. Tears came to my eyes. I’m not sure what affected me. Perhaps it was the care the author put into this work and the hopes and expectations it would spark in some aquarium aficionado leafing through it in a pet store while deciding which varieties to bring home, or of some budding marine biologist poring through the pages under the solitary glow of an anglepoise lamp. Something about all the love and curiosity and hope and work came together and I felt the most sacred confluence of sadness, joy, tenderness, regret, and … what? I’m not certain. In the “normal” world, this is fairly obscure stuff that can be contemplated at best, but understood and lived by few. This is a just a runway our society’s planes don’t land on. But one point might be that in direct experience, we can touch joy, regardless of the circumstances. There’s an essential, core part of each of us that can always be joyful. That moment in my garage with the cichlids and Dr. Loiselle gave me a tiny understanding of the direct experience of emotion right before our story gets layered on top. There in the fading light, I was blessed to feel the profound, subtle truth of that poem. Jan Martinez is an Integral Coach in the Detroit area, working with leaders in the automotive industry. Learn more on her website.